My family is a little crazy. Really, any reason for a cake. 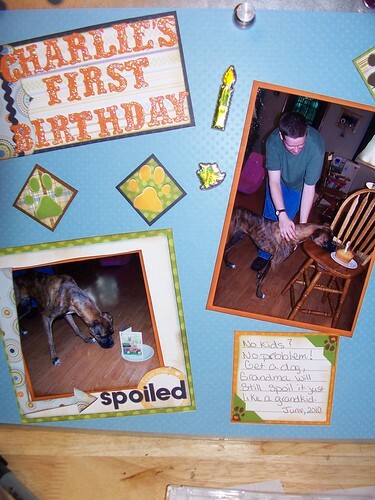 For example, Caleb's dog, Charlie, turned one. He got a cake and so did we. Of course Caleb hasn't provided grandchildren yet so maybe it's just run off grandparent love! The title was finished of with stickles that I smeared around. They lose some of the "glitz" but it gives a nice sugared look.